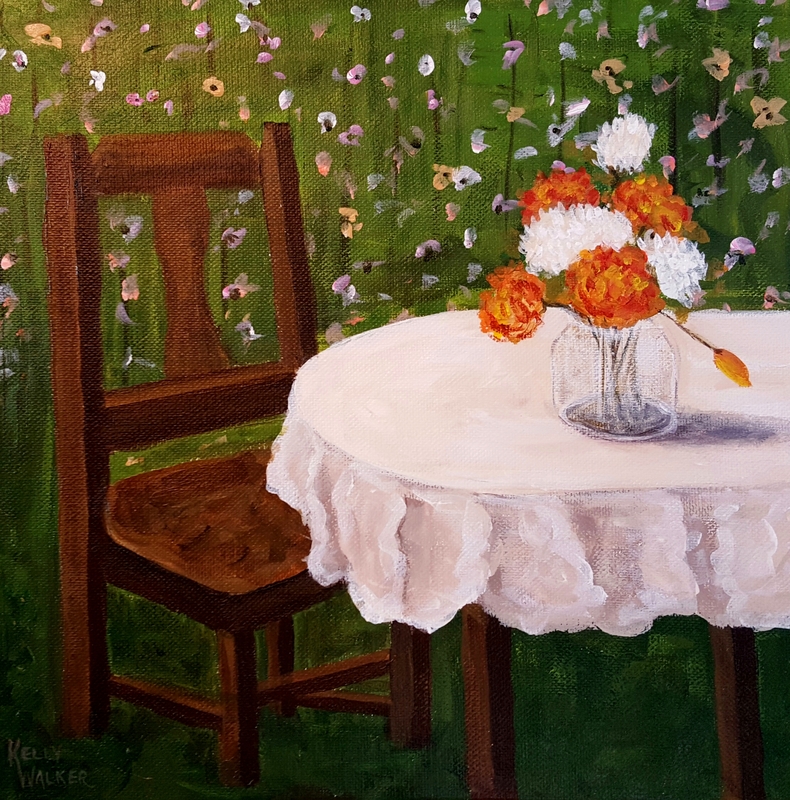 The Garden Chair | "A Place for Learning"
The Garden Chair, acrylic, 12″x12″. This is the demonstration painting from the September Paint Party last week. You can see the paintings that everyone did here….and the original painting here.